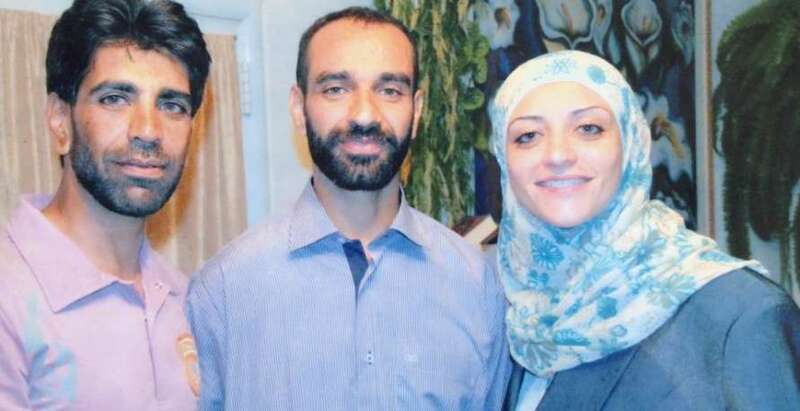 Palestinian lawyer and activist Shireen Issawi was sentenced to four years in Israeli prison on Monday, 7 March, and her brother Medhat Issawi to eight years in the same hearing in the Jerusalem central court. Their hearings had been repeatedly postponed; each has already been imprisoned for two years. Shireen Issawi, a prominent Palestinian lawyer and activist in her own right, was internationally visible as the spokesperson for the campaign to support her brother, Samer Issawi, during his lengthy hunger strike in 2012 and 2013, which won his freedom; freed from prison in the 2011 Wafa al-Ahrar exchange with the Palestinian resistance, he was accused of leaving Jerusalem’s municipal boundaries and thus violating a term of his release. After winning his freedom in 2013, he was re-arrested in June 2014 along with dozens of ex-prisoners, and had his original 26-year prison sentence reimposed. The release of all of these re-imprisoned Palestinians is a major demand of Palestinian political forces. Shireen, 34, and Medhat, 40, were accused of communicating with and providing funds to Palestinian prisoners that they represented through their legal practice, the Al-Quds Office for Legal and Commercial Affairs, which served as a liasion between families – often denied visits – and Palestinian prisoners, and Israeli lawyers and Palestinian prisoners; they transferred money to prisoners on behalf of their families. The Issawis are Jerusalemites – Palestinian residents of Jerusalem whose identity cards allow them to travel more freely throughout Palestine and visit Palestinian prisoners. Because of Israeli laws that declare all Palestinian political parties to be “prohibited organizations,” and communication – even with family members – in these organizations to be “coordination with” or “support for” prohibited organizations, Shireen, Medhat, and fellow lawyers and legal workers were raided, spied on, and imprisoned, accused of carrying out such unremarkable, and inded, necessary activities for Palestinian prisoners as carrying them messages from family members prohibited from visiting them and depositing money in their “canteen” (prison store for the sale of goods to Palestinian detainees) accounts on their behalf. They were accused of support for “prohibited organizations” – the Palestinian political parties, including Hamas, Islamic Jihad, the Popular Front for the Liberation of Palestine and others – of which their clients were members. Shireen was arrested on 7 March 2014 and her brother Medhat one week later, on 13 March 2014; Medhat had previously served 20 years in Israeli prisons, while Shireen had been held under house arrest and had her law license stripped for a year – again, for supporting Palestinian prisoners. The Issawis were not the only Palestinian lawyers and legal workers so targeted – Amjad Safadi, 39, also a Jerusalemite Palestinian lawyer, was held for 50 days under interrogation in the Moskobiyeh detention center; five days after his release, he reportedly hanged himself inside his family’s Jerusalem home on 29 April 2014. He had been arrested on 6 March, alongside five other lawyers, with similar accusations to the Issawis. Shireen and Medhat have received international support – the Law Society of Britain and Wales called for their freedom, and the Alkarama Foundation presented Shireen with a human rights award. Samidoun Palestinian Prisoner Solidarity Network condemns the sentencing and imprisonment of Shireen and Medhat Issawi, and demands their immediate release, as well as an end to the persecution and targeting of Palestinian lawyers and legal workers for providing services necessary to Palestinian political prisoners and confronting the isolation of Palestinian prisoners. Further, we note that the entire system of the criminalization of Palestinian politics and resistance as “prohibited organizations” under military orders is a key mechanism of Israeli occupation and apartheid in order to suppress, deny and repress Palestinian political life and struggle. 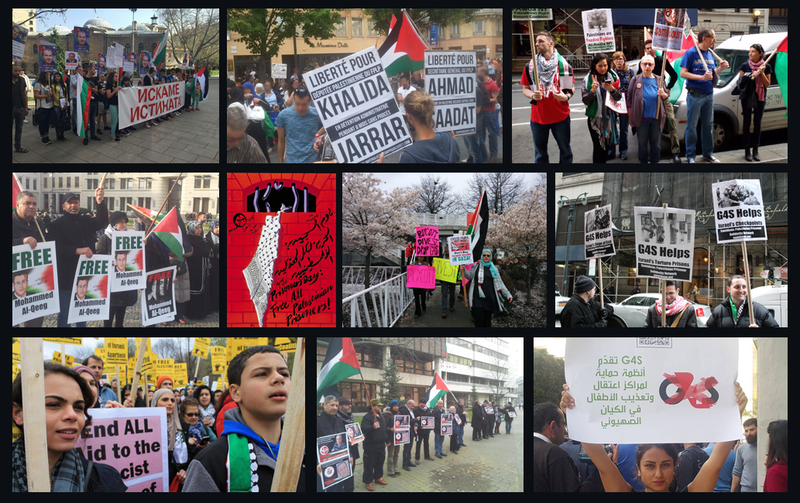 We further note that this criminalization is often echoed internationally by so-called “terrorist organization” lists which function to support Israeli occupation, apartheid and colonialism by criminalizing and repressing Palestinian political organizing and struggle inside and outside Palestine. We also demand the immediate release of Samer Issawi, Samer Mahroum and over 60 re-arrested Palestinian prisoners whose sentences were arbitrarily reimposed following their release in a prisoner exchange as a mechanism of pressure against the Palestinian resistance and the entire Palestinian people – and the freedom of all 7,000 Palestinian prisoners in Israeli prisons.